Looking to beat those winter blues? Can't wait to finally try scuba-diving? Whether you're simply interested in Spain's most tropical region, planning a trip to Tenerife, or already there and looking to get more info about your surroundings, we're here to lend a helping hand! 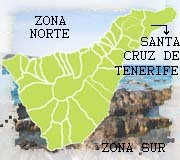 Welcome to What Tenerife, your in depth and up-to-date Tenerife island guide. Take a look through these six easy-to-navigate sections, where you'll find original and accurate information about sunny Tenerife that you won't find anywhere else. 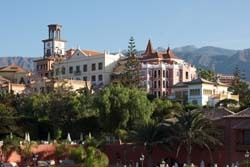 Learn here The history of the Canary Island of Tenerife from its discovery and conquering. All the facts on Tenerife are waiting for you in our different sections, full of precise and up-to-date information about this fortunate, lush and paradisiacal island. We want to provide you with the most helpful information at the time of organizing your visit to Tenerife, starting at the basics that you will have to take care off before you part, to other practical facts, such as transportation and sightseeing.